Belly breathing is your express pass to more awareness and energy. Your health and wellness will improve if you learn to master this technique. In the world of holistic health there is much information about breathing and its connection to health. However, it is not only remembering to breathe that is important, but breathing well and with the proper intent to optimize the benefits of the breath. Becoming more conscious of the breath is vital to optimize your body-mind-soul health. Belly breathing is one of the internal methods you can use to maximize your health, bring more awareness to your body and increase your energy for life's demands. There are many breathing exercises available, but belly breathing is one that I turn to the most often. It is becoming easier and easier for me to do, in most situations where I find myself fading, in need of more opening of my body, mind or heart or when I realize I am becoming negative. It is also the most common yoga breathing exercise that I practice and teach to my students. In Yin Yoga, I use and teach belly breathing to send the life force energy of the breath, or the "prana" in yoga, or "qi" (chi) in Chinese philosophy, to the areas of the body which need it most. The areas that are tight and stuck. Belly breathing is most effective when used in Yin Yoga, to enhance the opening of your body to deepen your personal yoga practice. To center your attention on the area of the breath for this practice, you may find it helpful to make a mandala, or design with your hands, over your belly as shown in the picture below. This is the second chakra area, below your navel, but above your pubis. When you are belly breathing, you imagine filling this area. It will feel deeper and fuller, breathing into the belly, instead of lifting the chest for the breath. Go ahead, and try it now, with your hands on your belly like this. It will help you give your breath the proper direction. You may find that it is easier to breathe into your belly, if you are standing or lying down. When you are folded at the waist, in a sitting position you may have the tendency to fill your chest instead. Begin this practice by arriving into a comfortable position, whether you choose to stand, sit or lie down. Settle yourself into your intent to do the practice. Begin noticing how you breathe. Is it mostly from the chest or your belly? Often it is the case, that we imagine the flow of breath coming from downwards, then flowing upwards towards our chest and out our head. Thus, we lift the chest as we deeply fill our lungs. This is one way to breathe deeply. Breathing this way will calm your central nervous system and reduce your anxiety and stress. However, when you allow the breath to flow up and out, you are sending all your good energy, or prana out into the air. This is OK, if your intent is healing the world (see below). In belly breathing I want you to imagine just the reverse. Instead of breathing up and out, as you inhale, I want you to draw your breath downwards and inwards and deep into the belly. Initially, however, since this is a non-intuitive way to breathe, I want you to first notice how you actually breathe. Are you a chest breather or a belly breather, or a little of both? If you are a deep chest breather, try as you inhale, to minimize your chest lifting. Instead focus on the belly rising outward as you inhale. The belly should collapse as you exhale. This may be difficult for you at first, because if you are like me, I have had the deepest desire to hold my belly in tightly, most of my life, to appear thin! I breathed like this for many, many years, before allowing the muscles of my belly to let go. It is OK to allow for some chest lifting, as this is an intuitive way to breathe, but make sure your belly is moving the most. Added to the desire to appear thin, when we are stressed, we also hold in the belly. This is why strong emotions are held deep within the abdomen and become 2nd chakra issues. It is because we hold our deepest and most unacceptable feelings, deep within the core of our beings. Unacknowledged emotions that are denied and stuffed down often come back to haunt us as dis-ease, later in life. Those who have suffered trauma in their lives, when they begin belly breathing exercises or other yoga breathing exercises, they become extremely uncomfortable, or worse, very fearful. If this is you, you may wish to seek counseling or the support of a dear, loved one, when you first attempt this belly breathing, to help you through this process of healing. I would be honored to be your guide and coach if you so desire! Now, the introduction is over and you are ready to focus on the practice. First, inhale slowly and draw your breath, down and deep into your belly. Watch your belly rise as you do this. Keep your hands in the mandala position on your belly, so you have a place to focus, and watch as your hands rise on your belly on the inhale. When you get good at this technique, you no longer need to keep your hands on your belly, unless you enjoy the feeling. On the exhale, as your belly and hands fall and retract toward your spine, hold the breath in the belly. Don't let your prana flow anywhere. Just gather the life force into the core of your being. On each fresh inhale, imagine your store house deep in your belly getting fuller and fuller. Imagine the breath remaining in your abdomen on the exhale. And that is all there is to it! Do this for at least 5 - 10 breaths to fully recharge yourself! If you are unaccustomed to yoga breathing exercises, and you are really deeply breathing, you may feel lightheaded, because you are not used to all that oxygen! Just go back to your normal breathing and the wooziness will quickly dissipate. If you do this belly breathing exercise at least once, maybe twice a day, and especially when your mind and body are dragging, you will notice a shift in your energy. It is so easy, this conscious breathing! Yet so hard to remember to do! If you learn to control your breath, you will certainly gain control of your health! Once you have mastered the gathering of the prana in the belly, try to send this energy to other areas of your body on the exhale. Now, you are inhaling the prana down and into the belly, and on the exhale, you imagine the flow of the energy going to another part that needs healing! This is especially important if you have a body issue that is ill, stuck or broken. If you have a thyroid problem for instance, you can inhale your prana deep into your belly, then exhale and send the life force energy to your thyroid gland. If you perform this energy practice twice daily, you will notice changes! If you would like to feel more love and compassion to all beings, you could begin your meditation or centering prayer practice by inhaling your energy into your belly, then exhaling and flowing it upwards to your heart! 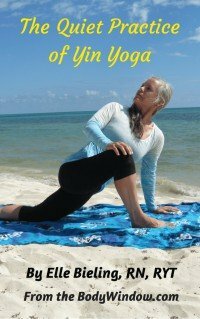 If you are in an insight yoga practice, when you hold a pose, and feel stuck and tight, say in your hips (or shoulders, or whatever), breathe deeply into your belly and gather the energy there for a few breaths. Then on the next exhale, send the prana flowing from your belly into your hips! Watch your body, over time, gently release. If you are sending a prayer to someone, and prayer is thought/energy going out, you can magnify it through this belly breathing exercise. Inhale your energy downward and into your abdomen. On the exhale, send your breath up to your heart, where you can release it up and out your head to the person. I like to hold my hands out with my palms up, and send the energy from my heart, then divide it to go down and out each arm and hand, to the person. This is a little harder to visualize, but with practice becomes easier to do. This truism has been said in many ways: "Where the mind goes the energy follows;" "Where the breath goes the prana flows;" "Where the mind goes the energy flows." However you wish to say it, the message is the same. Believe it. It is true. Stay committed to direct and control your intent and energy. Intend to practice, each and every day. Begin this simple breathing exercise today and notice the shift in your energy, attitude and process of healing your life! May your belly breathing heal your body, mind and soul.